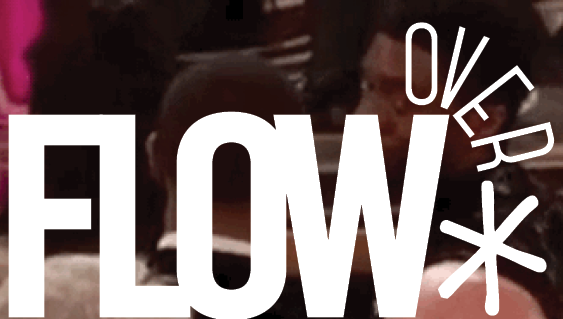 Following up on this valuable expansion of what Flow looks at, in this year’s volume, we aim to expand who we reach. To this end, we are particularly concerned with how media is preserved and accessed, how we teach media, and how we do media (praxis). Furthermore, we are concerned with the increasing ephemerality of media formats and the precarious labor of those who produce, distribute, exhibit, and teach media. If this sounds familiar, it is! These are the same themes that guided this year’s FLOW Conference on media preservation, praxis, and precarity. 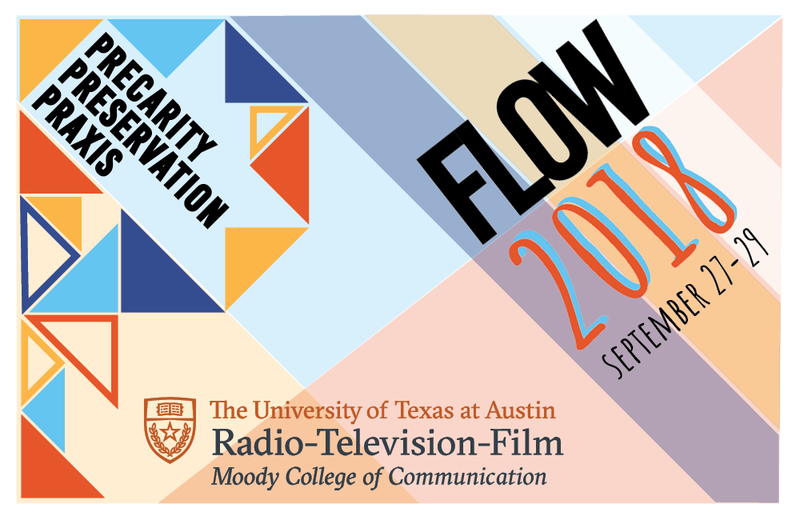 The biennial FLOW Conference is hosted by UT’s RTF graduate students and faculty and aims to promote conversation amongst scholars, members of the media industries, media activists, fans, and policymakers over crucial issues related to television and new/digital media. A video recording of our plenary roundtable, Praxis in Practice. Drs. AJ Christian, Lori Morimoto, Randolph Lewis, and Christine Becker shared their insights and experience incorporating praxis into their research, scholarship, teaching, and activism. “Field Notes” written by RTF grad student correspondents. These abbreviated pieces synthesize key takeaways and offer insights on themes running throughout various panels. Live tweeting of specific panels can be found by searching twitter for #flow2018 and the roundtable’s specific session number and letter, all of which can be found in the conference program if you click the above image. Significant Findings and Further Questions. To push the questions and responses offered during this conference into practicable solutions and answers and to model the conference’s call for more practical applications within the field of media studies, we are publishing several critical reflections from participating scholars. We asked them to reflect on the answers, next steps, and/or further questions that emerged during their FLOW roundtable. Tailored Twitter Coverage. Besides a brand new Twitter widget (check it out on the right! ), we’ve embedded the live tweet coverage for each of the above corresponding panels when available. Many thanks to the FLOW Conference Coordinating Committee, FLOW conference participants, and especially to field note contributors and roundtable conveners who shared their time, insight, and labor to help us make FLOW 2018: Preservation, Praxis, and Precarity more accessible to those who were not able to attend. We encourage you to help us keep these conversations going with any comments or questions on twitter using this volume’s hashtag #flowjournal25. And we look forward to how these conversations and themes are carried forward in multifaceted ways in our upcoming issues! Happy reading! 1. You are in the good place.